Educational verification- we verify that all the academic qualifications provided by the applicants are accurate and true. Our staff will physically examine all the original academic certificates to confirm their authenticity and, where need be, get in touch with the relevant academic institutions to confirm that the details provided are indeed genuine. Employment reference check- employment referees are supposed to be past employers who can attest to the experience of the applicant and our team will get in touch with the employment referees mentioned in the application to confirm that the applicants worked there and get some insight into the kind of work that they did while there. 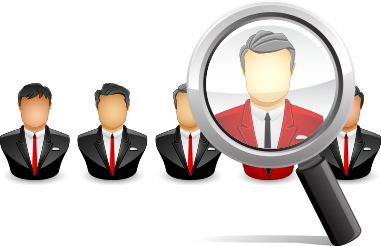 Character reference check- Companies need to know the characters of the people that they hire and we conduct character reference checks to establish this. Our staff will contact people who know the applicant at a personal level and ask questions that will give them a clear picture of the character of the applicant before he or she is hired. Identity and address verification- our staff will check all the original identification documents and passports to make sure that the applicants are indeed who they say they are and also verify their physical addresses. This is important in order to protect clients from applicants who may be using stolen IDs to get employment. Credit history- knowing the credit histories of prospective employees helps understand their spending habits and their financial management skills and this is important particularly for top executives who will be responsible for handling business finance. We check and obtain credit reports from relevant authorities to establish their credit scores. Criminal history report- our staff will contact the relevant law enforcement authorities about the applicants and obtain updated criminal history reports for each one of them. Identity and Address Verification – whether the applicant is who he or she claims to be.